I came across this big bag of shape buttons a couple weeks ago, and I knew I would use them for some sort of bin. 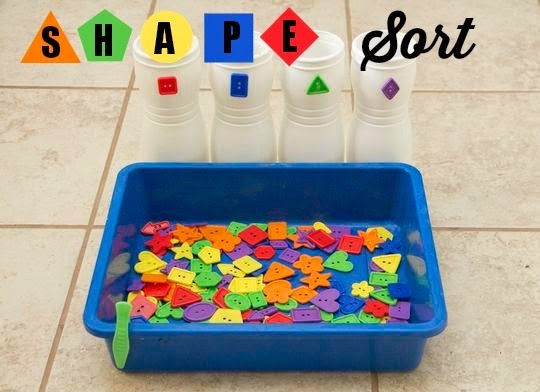 But first I decided to use them to make a Shape Sort that also worked on fine motor skills! I picked out 4 different shapes and hot glued one of each button to a naked puffs container. 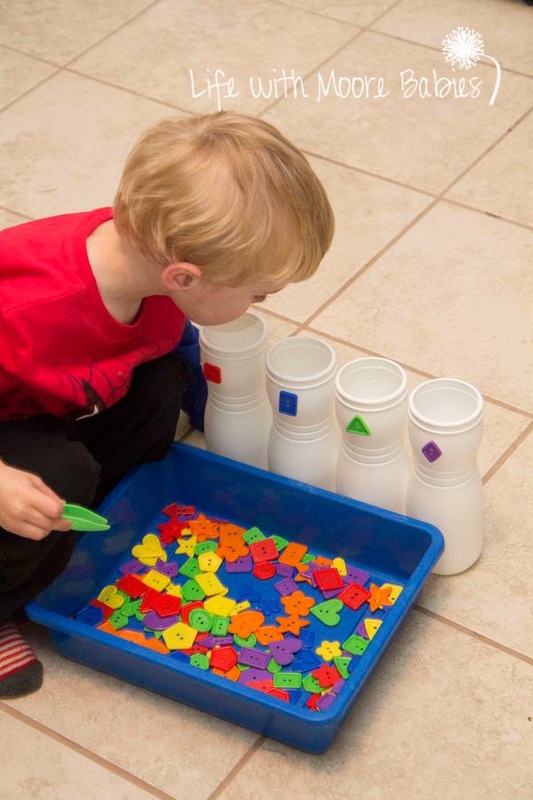 I purposely chose shapes that had sides and corners, so my little guy would have to look closer at the shape to decide where it went. Then I threw the rest of the buttons (all the shapes) in a bin and set out some little tweezers. Eli was super excited to start sorting! 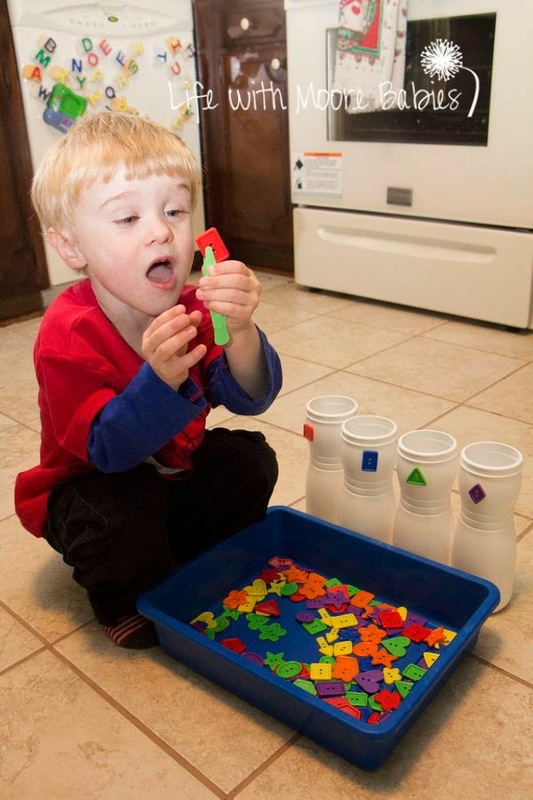 At first he used his fingers to pick up the buttons and put them in the tweezers before dropping them in the correct container. Eventually he started picking them up with the tweezers. 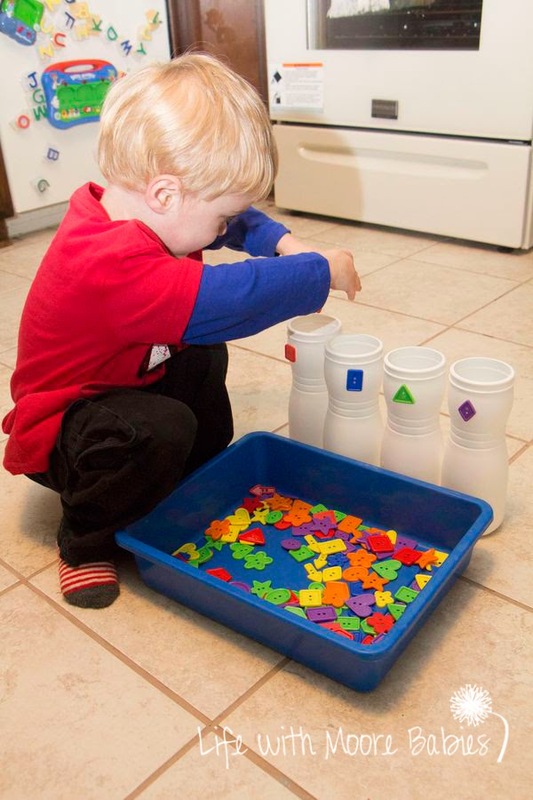 In the end he had a lot of fun sorting the shapes and then dumping them all back together again!